Put one of these in your hand and you'll sense the luck. The 1/5oz Armadillo uses larger faceted beads - 6mm and 8mm. These larger beads have a oily sheen and depth of color not found on the 1/8oz Armadillo spinners using 4mm and 6mm. I'm very happy with this spinner, and love to make them. 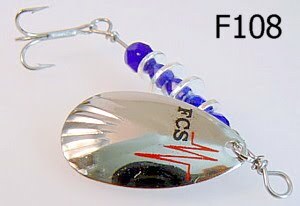 This model has #5 Fluted Indian's and #6 treble hooks; either barbed or barbless. A 1/5oz spinner just feels more substantial. Great for fishing larger streams, rivers, and lakes. It casts great and spins like a charm. A few more words and a link to the web store. There's a sweet discount that's active right now, until month end. Now's the time to get a few of these! Put some in your hand and on your line! a) To gaze fixedly; esp. with eyes wide open at fishing lures! I was that enthusiastic kid that loved to fish; first with bait, then lures, then some flies, now lures again. When I got to the local hardware store's fishing racks, I certainly stared and gazed fixedly (just sayin...). We all scan the lure choices, over and over again; searching for the perfect color, a new blade, a style that we may not have. Many times I'd settle on a proven favorite, something I may have lost; something I felt comfortable replacing with my hard earned money. Many times I left without a purchase. Spinner choices were limited back in the day, in central Wisconsin. 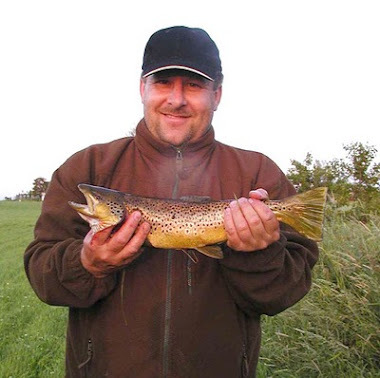 The hungry brook trout, on the other hand, were plentiful in the Rib River. 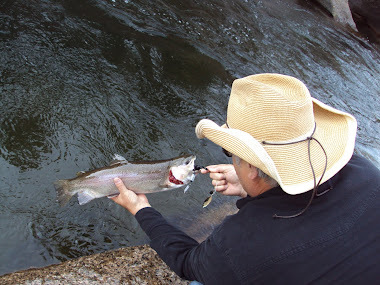 After a few years I became accustomed to the choices available and experimented less, sticking with my proven favorites; when I lost a lure I replaced it to re-supply. Growing up in Wisconsin, I saw Mepps French spinners in the local hardware store. I immediately grew to like fishing with spinners. They gave me a way to cover more distance, to see, smell, and hear more nature. Moving through the woods from fishing hole to fishing hole and also the white water rapids in between the holes was awesome fun. I still fished bait because I loved to catch night-crawlers! At night after a light rain or a heavy dew we'd be out with our flashlights crawling around getting dirty, trying to be quicker then the worms and stock our wormbox. We didn't mind digging for worms but the night-crawlers were more fun! 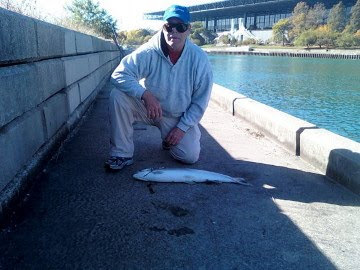 Fishing with spinners became my summertime passion. 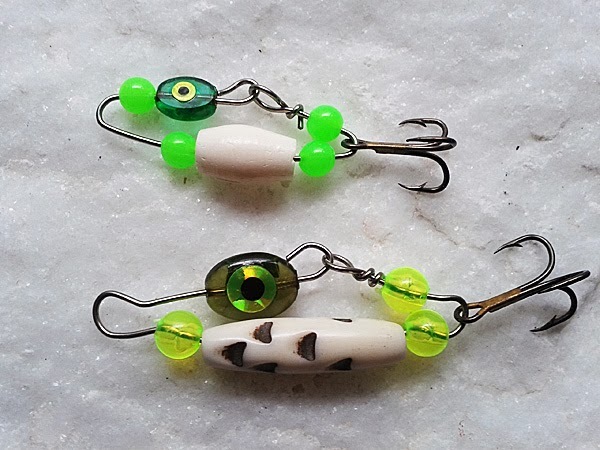 Over time, I began to prefer spinners, over bait. I never minded getting my feet wet, and fishing streams in deep brush always provided an opportunity for a splash or two (a habit that's endured the years). Later after leaving Wisconsin, I discovered Panther Martin, then Blue Fox Vibrax and now days, Fish Creek Spinners. Granted, I design and make Fish Creek Spinners, so what would you expect me to say! My life's experience fishing with spinners has taught me a few things about them. Life has taught me a few things about my purchasing habits as well (but that's a different story!). 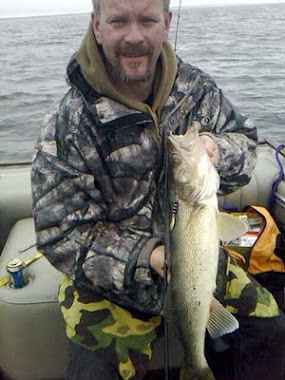 On the spinner fishing experience, what I have recognized is that you want 'Noise on the Line'. More components = more noise on the line = more fish attraction. That said, here's my summarization of popular spinner component counts. I picked what I thought was the most popular model for several familiar companies (my old favorites or more familiar models in my opinion). Then, with the noise on the line argument on my mind, I counted components. The more components on an inline spinner, the more noise there will be during rotation, as the blade rotates, collides and grinds against the spinners body parts, the more the better. In the case of the Armadillo, you'll notice wear marks on the inside of the blade, where the metal discs have worn contact lines. Those wear marks don't come without vibration under the water and vibration attracts fish. Swing blade 1/8oz Glass Armadillo Three models (F102, F117, and F122). Chattering noise profile caused by the blade. Swing blades spin faster and closer to the body, colliding and causing friction against the wobbler discs. This Armadillo spinner should be in everyones tacklebox. 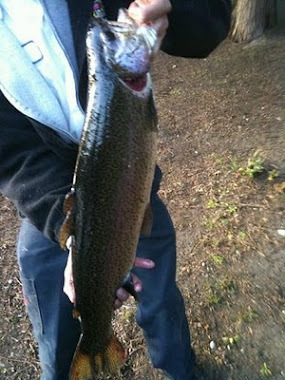 It gets the attention of trout, bass, perch, crappie and every fish that notices and strikes at spinners. Each spinner model has a unique blade and body configuration with it's own underwater sounds. Sounds get amplified and transmitted by underwater currents and aggressive fish take notice. Take a few minutes to listen and imagine. That's my story, and I'm sticking with it, because it's the truth! Step in and get your feet wet! Join the anglers choosing these spinners and the ever widening circle of new waters visited, cast by cast! I called my mom on her 83rd birthday a couple days ago and she told me she was getting ready to make some quilts, and needed some quilting gear; something sharp to get through layers of quilt. Well, enough said. Started doing Amazon.com searches and before you knew it, I'd assembled a nice order of quilting supplies. Mostly safety pins, needles and a few other goodies. 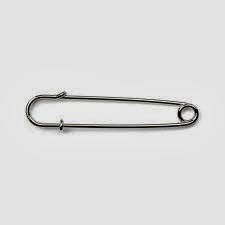 Anyways, I came across these big safety pins called 'Blanket Pins', I guess for horse blankets and I started thinking I could make a spinner or fishing lure out of those... (I do this a lot). 3 to 4 inches in length. Loop up top for line knot, loop at the bottom for hook, open the clasp and string on some bait, or in my case components..
Well, I ordered some for mom for the heck of it, but then realized I could likely do a few bends and loops with the wire former too. I'll need to clean them up some, maybe close the top loop with a twist or two, but they already look fishy to me. No blades on them yet. Think a hungry winter perch would be attracted to one of these? I could see opening one, adding some bait or baiting the treble hook and down it goes for a few bounces.